A stylish wall mounted mirror from Miller, the London collection offers classic beauty with clean line. Finished in smooth white this mirror co-ordinates perfectly with the furniture within this range. As an option why not add an LED light and IR-sensor to compliment this beautiful piece of furniture. Fitted with mounting rails and brackets for adjustable and quick installation. 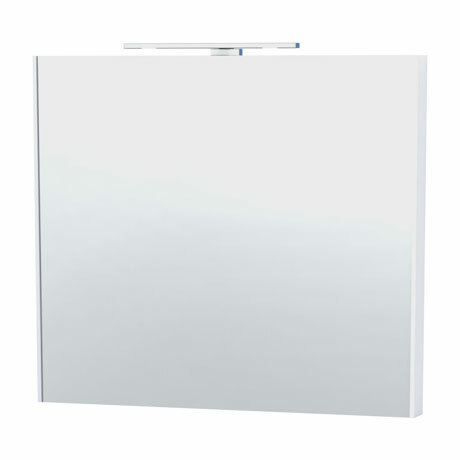 Please note: Mirror is shown with LED lighting which is sold separately.